Contact the Best Tampa Disability Attorney to Get the Best Legal Help! A person who is an employee of the state of Florida may be entitled to disability compensation if injured or ill and unable to work. There are two types of disability benefits. 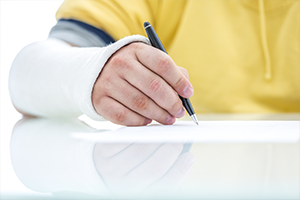 Benefits may be paid for an injury that took place on the job (in-line-of-duty) or regular disability. To qualify for either type of disability compensation, the worker must be totally and permanently disabled and unable to work. If you are considering applying for benefits or if your request for benefits has been denied, contact Stolberg & Townsend, P.A. for assistance. The attorneys at Stolberg and Townsend have many years of experience assisting their clients through the proper legal procedures for earning the best outcomes. Attorneys Vicki Stolberg and Byron Townsend as well as their patient, knowledgeable staff will assist you with filling out the required documents and making sure all information is accurate and complete. Navigating the process of filing for disability can be confusing. Process Your Case Accurately with Our Disability Lawyers in Tampa!